What are the functions of the drum wood chipper? Drum wood chipper is specialized for wood chips production. The application of this machine is very extensive. It is mainly used in particle board factories, medium, and high-density fiberboard plants, straw plants, bio-power plants, wood chip factories, charcoal processing plants, etc. 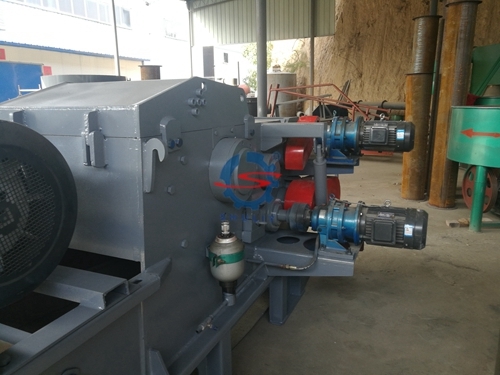 The drum wood chipper has advanced product structure, high quality of chipping material, wide adaptability of raw materials and convenient operation and maintenance. The main raw materials for cutting are small wood, processing residues (such as branches, boards, slats, round wood cores, waste veneers, etc.) and non-wood raw materials (such as reeds, bamboo, etc.). What is the structure of the drum wood chipper? 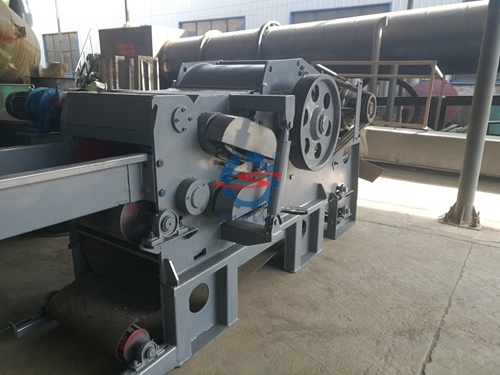 The drum wood chipper is composed of the main body, a knife, an upper and lower feeding bowl, a conveyor belt, a feeding port, a discharge port, a motor, a hydraulic system and so on. The main body is welded with a high-strength steel plate. Since the main body is the basis for the whole machine, we use the highest quality steel to ensure that the machine can use a long time. What are the advantages of the drum wood chipper? Adaptability: The drum wood chipper can adapt to the installation and use of equipment under different geographical and terrain conditions, and is not affected by seasons, climate and other external conditions. Time-saving: Because the drum wood chipper does not need a foundation, it can save 10-15 days of valuable time for users. 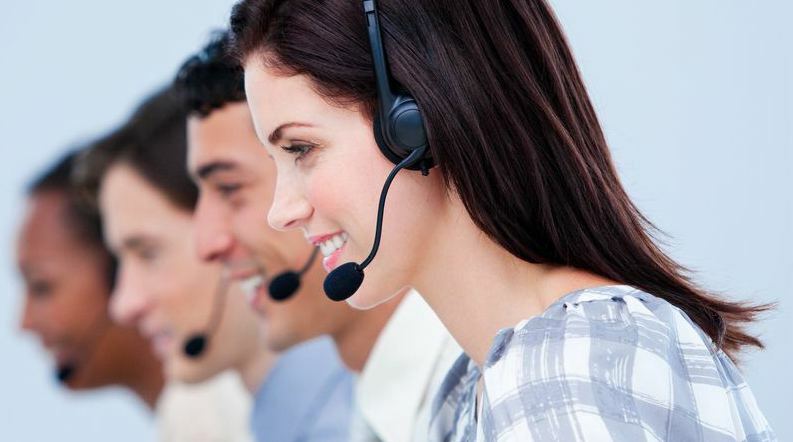 After the equipment is sent to the local area, it can be installed and put into use immediately. It can be completed in 1-2 days, save 2/3 of the time than usual. Saving money: Because the foundation is not required, the drum wood chipper users can save the manpower, material resources and financial resources of the production. It can save about 500-2000$ according to different models. Flexible and convenient: Since it does not have to be installed in a fixed site, the installation and debugging of the drum wood chipper is very simple, which greatly improves the installation speed and flexibility. Thanks to the second discharge device, the user can change the direction of discharge according to the need. Large production capacity: It can process 30-300 tons of raw materials every day. Users can process materials according to different requirements. The machine is easy to operate. Customers can tell us their specific requirements before ordering drum wood chipper. 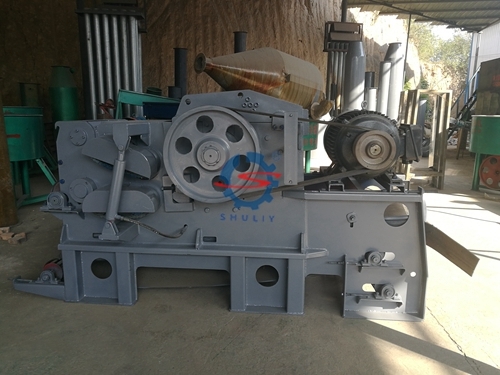 In order to protect the interests of our customers, we will select the most suitable machine for our customers according to their specific requirements. All customers interested in our machines are also welcome to visit our factory. In addition to the drum wood chipper, we also have other wood machines, such as wood crushers and wood shredders.